You know… I’ve lived, been familiar with and/or felt pretty at home in this [Kilburn] neck of the woods for nigh on 10 years! And… It wasn’t long after moving to London that I was soon checking out the famous Tricycle. It’s an independent theatre, and cinema & was opened by the much revered actress & activist, Ms Emma Thompson. You only have to check a few of my articles – especially the older ones – to see my mention of this homely, cute and all-round cosy venue. Not only does it have plays, and big ones at that which later go in to the West End but also festivals (including the UK Jewish Film Festival), community-driven get-togethers, workshops and a ‘Takeover’ by teens and young adults. Actually, I’ve found out that this Tricycle ‘Takeover’ isn’t exclusive to those directly involved [the posters and site may allude to the fact and use of wording that such a takeover is BY and FOR those young adults ‘only’] but it’s pretty much for ANYONE… even Me! So, why am I so compelled to write this article? Well, mainly to do with the latter paragraph and the film aspect of this year’s TAKEOVER. Especially now that I’m aware that YOU, ME or ANYONE can witness these films – old, new and rare – in their lovely 300 seater auditorium. Indeed, as well as their other stuff occurring, these films – complete with a bargain ‘see as many for £20!’ offer – are really a treat for everyone! And that £20 includes the other TAKEOVER stuff and so not just the films! Yep… Just when I thought the cinema aspect of the Tricycle Theatre couldn’t get any better or indeed more value for money – what with it’s cut-price tickets for Brent council residents on Mondays, and the ‘pay what you can’ for a special few on Tuesdays – they throw this offer on us! Welcome to the 3rd annual Tricycle TAKEOVER! It’s back – bigger, louder and feistier than ever. This March, join us for a party in paradise with a mighty programme of theatre, film, masterclasses and events programmed by and for young people. Click the links below to see what’s on offer & to book. Highlights include three heavenly new performances by Tricycle Young Company, 7 masterclasses from industry professionals in everything from playwriting to waacking, 10 NT Connections plays, heavy sets from up and coming DJs and the hotly anticipated return of SPOKE night. NEW for 2016 – don’t miss a single Takeover event with a Ticket to Paradise. A Ticket to Paradise is gets you unlimited access to our nirvana of drama, screenings and masterclasses for just £20. Tricycle Takeover Films is an event dedicated to the thematic exploration of ‘Paradise’ that will showcase the best of British and International cinema. 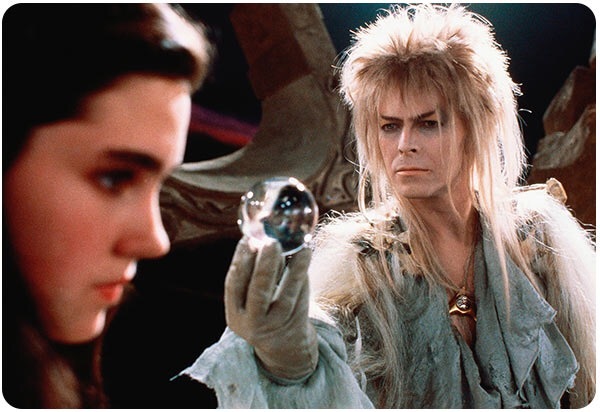 The programme will exhibit a range of motion pictures scrutinising the Takeover concept and screen the most innovative, imaginative and emotive works. How do you offer a tribute to a place? Your love to a borough? How can a road be paradise? FOUND is a living art installation, that will bring every corner of the Tricycle to life, with stories, photography, film, poetry and art from the communities both within, and local to, the Tricycle Theatre. FOUND will be an opportunity for new audiences to discover the Tricycle, and for artists and creatives to explore, collaborate and create. As a project, FOUND is a celebration of the beauty of Brent, why it is loved by so many, and how the places we call home can often become a sort of personal paradise for us. FOUND will be displayed at the Tricycle Theatre as part of Takeover 2016: Paradise, existing as a display of postcards, written by local people from the Brent community, who are working with the poet Simon Mole to explore and express the ways in which Brent is their paradise. While FOUND is about and for the Brent community, it is also an exhibition written by the Brent community, and this is where YOU come in, where we’d love your help. We want to hear what you love about Brent, your favourite smells, sights, places, moments. Maybe it’s the smell of your local baker, or perhaps it’s that moment you caught between two friends outside Tesco last Tuesday. What is it that makes Brent BRENT for you and what is it that you love about it? To contribute your thoughts, please either tweet us @BrentFound with #loveletter2brent or email them to us at foundbrent@gmail.com. Our favourites will be in with the chance of winning 2 x tickets to The Invisible Hand! Join us for a DJ playing a mix of tunes in the gallery at the times above. A diverse panel of young backstage staff, creatives and office staff will discuss underrepresentation in the arts and their experiences working in the industry. This event aims to help break down barriers young people may face in working in the arts and highlight opportunities for them to gain access to the industry. 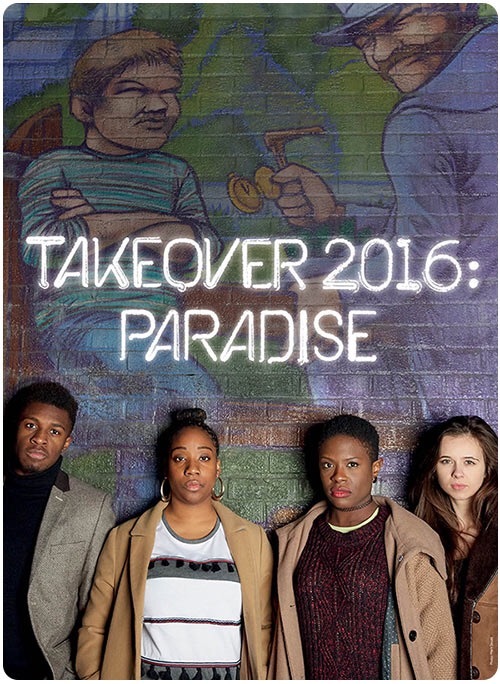 Wednesday 23rd March at 7.30pm will be the first ever Spoke Arts Clash Night, as part of Takeover 2016: Paradise. Spoke is the Tricycle’s regular open mic night. We are looking for artists from different backgrounds and styles to take part in Spoke Arts Clash Night, it doesn’t matter if you dance, play violin, do stand-up comedy, play guitar or like rock, rap or soul, please apply to perform! ALL art forms are welcome. What makes Arts Clash Night different is that you’ll collaborate with performers using a different art form to you. Together you’ll put your creative skills to the test to come up with a unique piece(s) of art to perform during the evening. The headline act for Arts Clash Night will be 2x UK Beatbox Champion, Grace Savage. Please fill out this application form and send it along with a link to your work (online portfolio/ website/ profile). Send completed application forms and any questions you may have to melomarcos102@gmail.com. And lastly, you can be sure that the youngsters will be taking full advantage of Facebook, Twitter and other relevant Social Media platforms. On that note, I did recently see that the Tricycle Theatre seems to have at least TWO Instagram accounts, so please do your best to support all you can. That’s all from me, I’ll leave it you if you fancy ‘taking over’ and supporting all this great artistic talent. The world needs it… especially when it adds to important aspects in the world.